The now vacant Walmart lot in Pana, Illinois. December 2018. 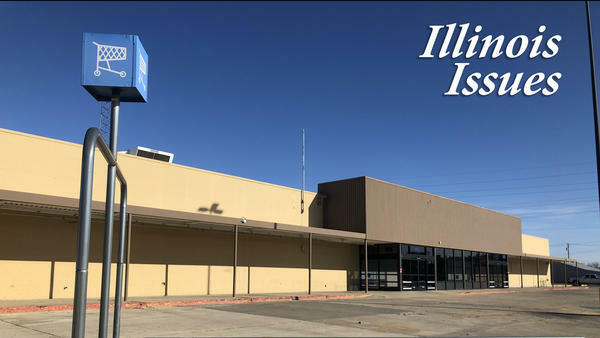 Two small towns in rural Illinois recently lost their Walmart stores -- more than three decades after the retail giant came in and pushed out mom and pop shops. Now, the communities have lost convenience as well as major property and sales tax revenue. Some see it as an opportunity to revitalize main street, while others are not so optimistic. On a sunny, cold day in December, 73-year-old Glenn Schneider tours downtown Pana in central Illinois. He’s walking toward an empty parking lot, where a large, vacant building now stands. “A year ago, there would have probably been at least 50 cars in that parking lot,” he said. The building once housed a Walmart, where Schneider worked maintenance for 17 years. Pana is located about 40 miles south of Springfield--and was once a bustling community. A century ago it had large coal-powered greenhouses growing roses—serving as a distribution center for the rest of the country. That’s how it got the name ‘City of Roses’. But the town has since gone through many changes: the greenhouses shut down and the coal mines closed. The 2010 Census estimated the town has a population of 5,700. And two months ago -- the town took another blow after their 35-year-old Walmart store closed its doors. Pana was not alone. A Walmart in Clinton -- another town in central Illinois between Decatur and Bloomington -- also suffered the same fate over the summer. Clinton had the smallest Walmart store in the state. Experts say the retail closures are only a symptom of bigger issues taking place in the rural Midwest: declining population, aging baby-boomers and rising poverty rates. Some local town officials, however, see the closures as an opportunity to revitalize their small cities and wean residents off Walmart convenience. When the Walmart moved into Pana in 1983, local businesses could not compete with the lower prices offered by the large retail store. One glaring example: Pana had three independently-owned pharmacies in the ’80s, but those were forced to close. 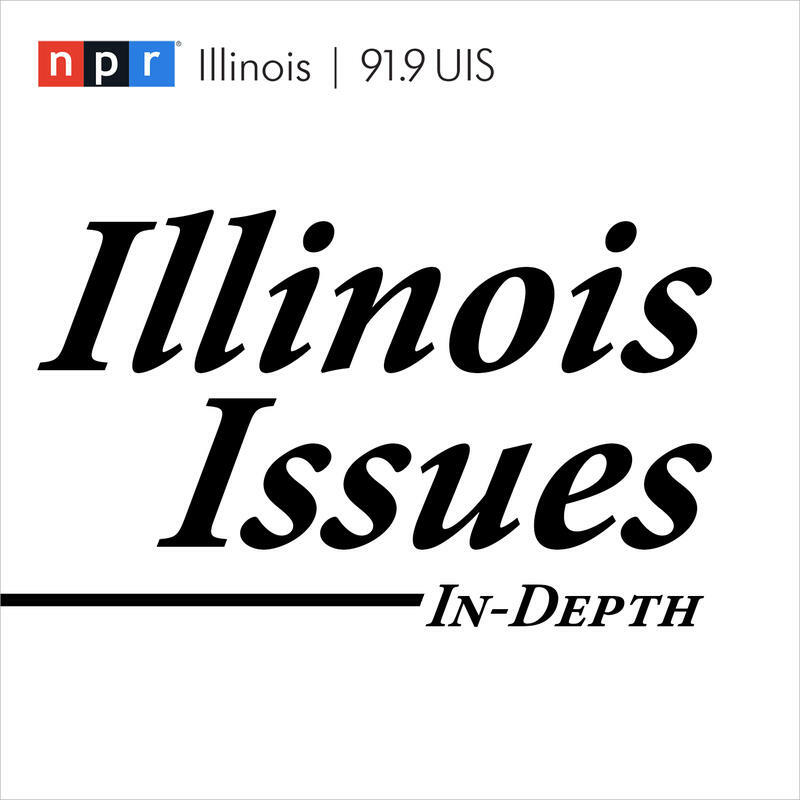 Chris Merrett, director of the Illinois Institute for Rural Affairs at Western Illinois University said Walmart coming in changed these small towns and their main street landscapes. “And so when these Walmarts close shop, there is really a void because many of those mom and pop shops that were there 40 and 50 years ago are no longer there. Walmart leaves and so there is this emptiness, this empty retail space,” he said. Walmart issued a statement that said employees at its Pana store would be given the opportunity to relocate to nearby stores. Pana’s mayor, Donald Kroski said Walmart’s decision was abrupt, with only a month’s notice. Merrett said he believes retail closures will continue especially if small, rural towns can’t keep up with the online shopping trends forcing brick and mortar stores to re-evaluate their business strategies. Most, if not all, are competing with Amazon’s lucrative model. Walmart did not respond to a request for comment on whether they had future plans to close more stores in rural communities. But Pana’s Mayor said without Walmart as a competitor this could be an opportunity for his town to return to more independently-owned businesses. proposal to reopen the family business. “When Walmart came to town, it was too many pharmacies in a small town, and we just couldn’t make it. So we closed up shop and left,” he said. Pana currently has a Walgreens that has tried handling the load of prescriptions Walmart left behind. Faulk said his pharmacy could offer extra help. Merrett, who studies rural issues, is not as optimistic about a resurgence for small business. He says that also holds true for the Dollar General stores, which Mayor Kroski says will have the opportunity to expand by offering a wider selection of items. Back in Pana, the looming Walmart sign is gone and the building remains empty. “Talk to the community, get their input, not just in the boardroom,” he said. UPDATED 10 a.m. | America’s declining appetite for breakfast cereal was a key factor in this week’s decision to close a Gridley facility where 115 employees are now out of work, company officials said. Sales tax revenues are up marginally in Bloomington-Normal, an increase of 1.4 percent through the first three quarters of the year. Bradley University’s third quarter checkup on the Peoria area economy shows continued positive performance with unemployment rates remaining low at 4.8 percent. That’s down nearly half a percent from this time last year.